Wall Industries has just added 3 New DCMHIR series to their library of products- the DCMHIR15, DCMHIR20, and DCMHIR30 series. These series offer 15, 20, and 30 watts of power respectively and consist of both single and dual output models. Each model comes in a compact through hole package and is rated for medical applications. Features of these series include high isolation voltage of 5000VAC, low leakage current, low standby power, and high efficiency. There is also no minimum load required and protection against short circuit, over voltage, over load, and over temperature conditions. If remote on/off function is needed, all three of these series have positive or negative logic available. 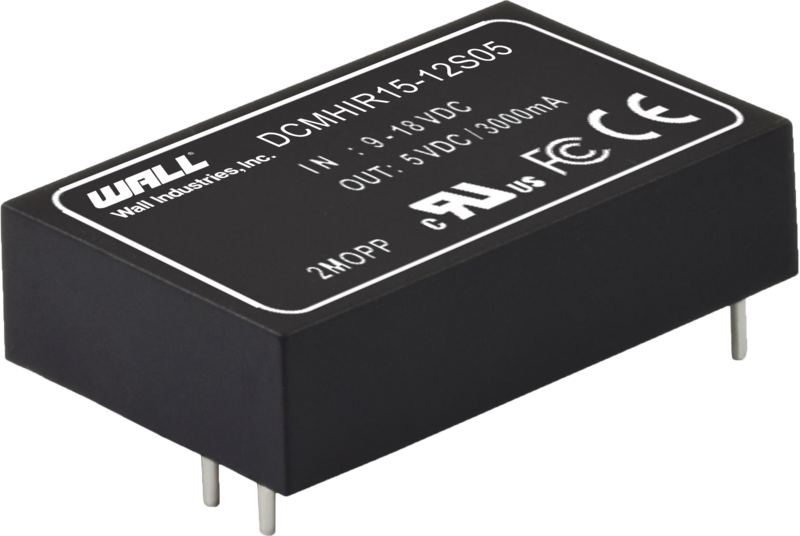 Each DCMHIR series is also RoHS and REACH compliant and features an internal EN55032 Class A filter. For more information about these series, please visit the DCMHIR15, DCMHIR20, or DCMHIR30 series page or contact the Wall team if you have any questions.